All orders shipped within the continental U.S. ship FREE via US Postal Service (USPS), with the option to upgrade to UPS Ground for $7.50 (Alaska, and Hawaii orders are subject to added fee). Puerto Rico, Guam, the Virgin Islands, and APO’s shipping method is US Priority Mail for all deliveries and ships FREE. Priority delivery options where available: US Priority Mail (2-3 business days), UPS 3-Day (which is a 3-4 business day service - not available to Hawaii & Alaska) is $10, UPS 2nd Day Air is $12.50, UPS Next Day Air is $17.50, and UPS Next Day Saturday is $35. We are NOT affiliated with Amazon Prime shipping - even if you check out using your Amazon login. Please note: UPS cannot ship to P.O. Boxes. According to PANDORA's regulations, we are NOT permitted to ship outside the United States, Puerto Rico, Guam, the Virgin Islands and APO. Should you have any questions regarding shipping methods and anticipated delivery times, please contact our customer service team at 800-878-7868, service@becharming.com or chat with us online. * Please note: US Postal Mail and UPS Ground delivery times are estimates. Processing and delivery are based on regular business days (Monday - Friday) and exclude holidays. Typical processing time is 1 business day. BeCharming.com is not responsible for delivery delays due to weather, delivery carrier factors, customer error, holiday-related delays or any other unforeseen delays related to transit. 3 Day not available for Hawaii & Alaska. Shipments to Guam & Puerto Rico must choose US Postal option, UPS is not available. Expedited shipping fees are NOT refundable should you choose to return your order. Are High-Value Orders shipped Signature Required? 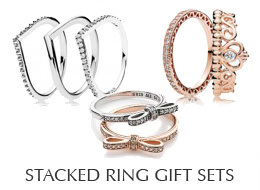 Any PANDORA order valued at $500 or more will be sent Signature Required. Packages will not be left due to the high value. If you will be shipping to a location where someone will not be available to sign, consider other locations to where the package can be shipped and signed for, such as a work address. Otherwise, you can log into UPS My Choice and sign a waiver with UPS stating the package can be left and BeCharming.com and UPS are no longer liable for loss or theft. All shipping addresses should be verified before submitting your order. If any shipping information is incorrect, you may incur a fee for re-directing a UPS shipment to the correct address, fee dependent on current location and new re-routing address. We are unable to re-direct orders shipped by US Postal Mail. Orders are processed very quickly; please contact our customer service team immediately at 800-878-7868 or service@becharming.com to report any errors to avoid this fee. When your order is processed a tracking number is generated and will be emailed to you within 24 hours of package pickup by UPS or US Postal Service. Please note that a label is generated prior to packaging your order. You will receive a notification that a label has been generated - this does not indicate that it is in the hands of the shipper, it may be picked up that evening or the following business day for transit depending on the time order was received. You can use the tracking number from the email to check on the status of your package. US Postal Mail orders are sent using UPS Mail Innovations. Your order will be trackable via the UPS.com website. Packages will initially travel via UPS to get to a local US Postal Mail hub near you, then it will be delivered via your local post office carrier to its final destination. What do I do if products are incorrect or missing from my order? If items are missing or incorrect from your order contact our customer service team at 800-878-7868 or service@becharming.com. A return label may be sent to you if there was a fulfillment error. Claims must be received within 14 days of purchase date. What do I do if I received a damaged package? If you receive a package that has been damaged or tampered with in transit contact our customer service team for assistance at 800-878-7868 or service@becharming.com. Save all packaging as it may be examined to process a claim with UPS or US Postal Mail. Do not contact UPS directly as all UPS inquiries must go through our customer service department. I believe my package is lost. What do I do? If tracking shows no movement in several days toward final delivery location OR if package tracking information shows a delivery has been made but cannot be found (first please check all possible locations package may have been left: all doorways, porches, entryways, mailbox, etc. & check with all persons in household as well as neighbors) contact our customer service team for assistance at 800-878-7868 or service@becharming.com. Do not contact UPS directly as all UPS inquiries must go through our customer service department. Select the FAQ topics below you would like to read more about.